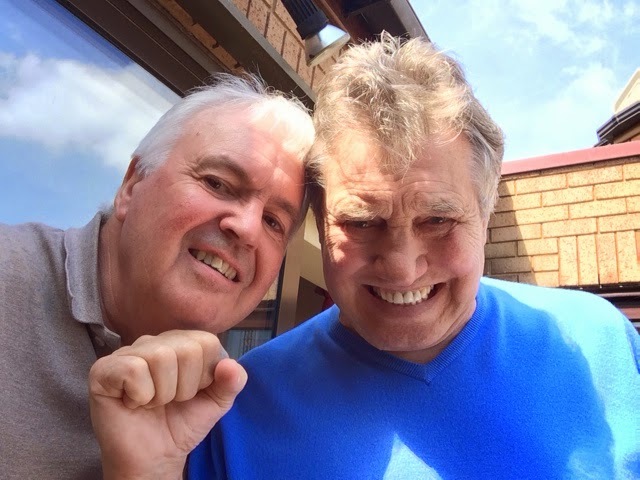 E7-NowAndThen recently caught up with ex-British heavyweight boxer, Billy Walker, and chatted to him about his Upper Cut club, and other memories of Forest Gate. He was born in Stepney in 1939 and was evacuated to Bedfordshire during the war. The family moved to Ilford, on their return to London in 1946. Billy remembers the house as being haunted - not surprising, perhaps, as it was where Percy Thomson, who was murdered by his wife and her lover in 1922 had lived (see here for the story). On leaving school, he had a number of jobs, including as a fish porter at Billingsgate market and a part-time role as a bouncer at the old Ilford Palais, within walking distance from his home. Here he worked with DJ Jimmy Savile ("I don't remember any of that dodgy stuff from him, then"). He also met Kenny Johnson, who went on to run the Lotus Club, on Woodgrange Road (watch out for a future blog for the story of Kenny and that club), at the Palais. By the mid 1950's Billy's brother, George was a professional boxer, and was pushing a reluctant Billy to join him in the fight game. Ten of Billy's 39 amateur bouts took place at what was West Ham Baths, later known as the recently demolished Atherton Suite in Romford Road. He kept fit in an early Wag Bennett gym, in East Ham, and fought with the West Ham boxing club, based at the Black Lion pub, in Plaistow, and in what was then the White Lion pub (now the Mango Indian restaurant) in Green Street. With these local connections, it was hardly surprising that Billy found his way to the Lotus Ballroom in the late 50s and early 60's, to "jive and pick up the birds". He also worked for a while as a security guard at a garage his brother George had, in New Barn Lane, Plaistow, and was a regular in the Army and Navy pub next door (where the older regulars still remember him and his German shepherd dogs fondly). The petrol station is now a scrap yard (see photo). for his brother George's garage - now a scrap yard. Billy tuned professional, as a boxer in 1962 and soon became a national sporting icon, as the 'blond bomber'. In his six years as a professional, he challenged for both the British and Commonwealth (against Henry Cooper) and European titles (both of which he lost), recording 21 wins, 8 losses and two draws. His brother George had had his scrapes with the law (including a short spell in Wormwood Scrubs for theft) and mixed with some of East London's shadier characters of the time, but had a shrewd eye for money making opportunities. As Billy's manager, he "took care of the business", and set up a number of profitable ventures, including a property empire and a fast food chain (Billy's Baked Potato). The Upper Cut club, on Woodgrange Road was part of that business portfolio (for twelve months, from December 1966). There was already a pop culture/"youth scene" in the area, thanks to Kenny Johnson's Lotus Club, across the road. When the old Forest Gate skating rink became available, Kenny looked to acquire it and move the Lotus Club there. But the Walker brothers stepped in and took the lease, for their own club. Billy says that he left George, and others, to take care of the Upper Cut (and his money), but went along, occasionally, for profile raising purposes and photo opportunities. 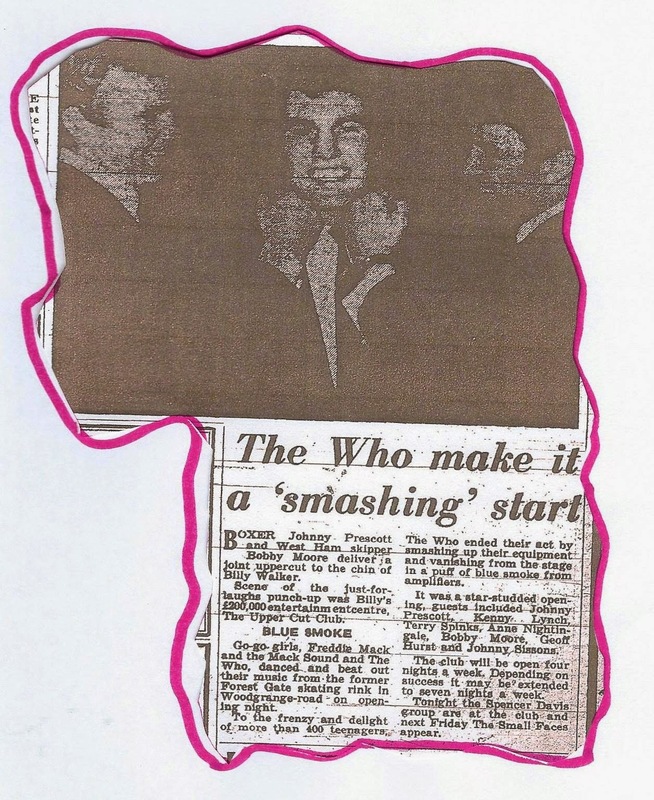 He was certainly too preoccupied to attend the club's biggest night, when the Stax tour, starring Otis Redding appeared there on 18 March 1967 ( see here, for details), as it was just three nights before his biggest fight, against Karl Mildenberger, for the European championship, at Wembley (which he lost). The Animals were due to play the club the following week, but there was a hitch with the arrangements. 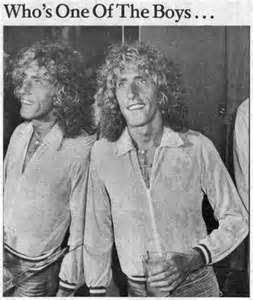 Billy recalls that he had recently been at a party and had met a girl, who he'd taken home, for the night. 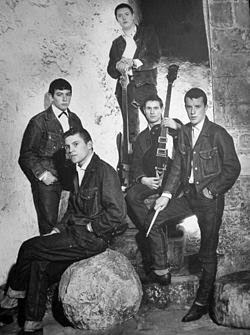 A couple of days before the Animals gig, Billy got a phone call from his brother, George, demanding that he rang the band's lead singer, Eric Burdon, and apologise to him. "Why? ", asked Billy, "Because the girl was Burdon's, and he wants an apology, or the group won't turn up and play" Billy duly made the call, the gig took place, but Billy and Eric have not exchanged Christmas cards, since. The club lasted only twelve months, as attendances dropped, acts upped their charges, and neighbours and police complained about local disturbances. Almost a year to the day after the opening, the almost inevitable happened - the music venue became a bingo club. was training for his European title fight. Billy retired from boxing a couple of years later, but soon fell out with George. Billy wanted a quiet life, so he moved to Jersey (where he has lived most of the time, since) and George wished to pursue an aggressive business career and use Billy as his front man/PR opportunity. George went on to create the huge Brent Walker property/entertainment conglomerate, until its spectacular fall, into bankruptcy, in 1990. The two brothers made up, a little before George's death in 2011. Billy got his quiet life, although had misfortune with his first two marriages before marrying a local Forest Gate woman, Pat Furuborg, as his third wife. The couple lived off Romford Road for a couple of years in the late 1990s, until moving to the Essex coast, until Pat's death, of cancer in 2003. Billy now lives, in happy retirement with the delightful Susan Stevens, his fourth wife, in Jersey. The couple also have a pleasant riverside flat in Battersea, which they visit occasionally. They wish all their friends and former acquaintances in Forest Gate well. Further details of Billy's career and life can be found in his autobiography (ghosted by Robin McGibbon) When the gloves came off, published by Robson Books in 2007. I saw Prince Buster there, sometime in (I think) early 1967. Also saw Chris Farlowe - he wore a purple velvet double breasted jacket! Wanted to see the Vibrations there, but none of my mates fancied it & I was blowed if I'd go on my own!